All of our sites like I Can Has Cheezburger?, FAILBlog and Memebase run on the amazing WordPress.com VIP service. I personally love it due to the fact that I don’t ever have to worry about servers, something I used to do way too frequently. Anyhow, being on WordPress.com does pose some interesting coding challenges. Many of the things you may come across with your own WordPress install can be solved by installing a plugin. On WordPress.com you need to roll your own solution, and check with them to make sure you’re not hosing all the millions of other blogs they host. As stated above, I’ve been working on an A/B testing solution so we can try out new features, redesigns and services on the fly. We’ve done this in the past, but have always done it on the client side, and we wanted a more robust solutionâ€” one that didn’t involve inserting so much junk code into our theme. However, switching to server-side logic meant we needed to make WordPress.com’s caching solution, batcache, aware of what we’re doing. It took me quite a bit to wrap my head around it, but in the end the implementation is fairly simple. I won’t post the specific code here, but there’s a function where you can essentially tell batcache to serve a certain version of a page based on some simple logic (cookie, user agent, something that can be tested before the theme loads). First: Open up MAMP preferences and click to the PHP tab. You’ll see a cache dropdown, which you should set to APC. Second: Go download Mark Jaquith’s APC plugin and follow the installation instructions. 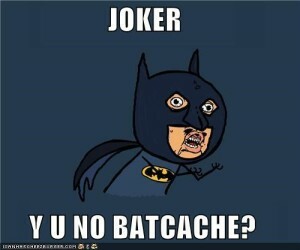 Now you’re caching with batcache! I know it seems a little silly to run a cache locally, but I like knowing that the code I’m testing works with the actual end product. If you want to read more about batcache, check out the author Andy Skelton’s blog! I’ll try to blog more about what I’m working on in the future, and possibly some more on this A/B testing stuff! That’s just too easy. Nice work. Pleasure meeting you in SF. This is a nice article, but I’m afraid it doesn’t cover two essentials aspects that are not much discussed. 2. What is the relationship with `$vary` array of strings that gets eval’ed and the `$unique` array of strings. To me those two aspects are unclear. Maybe the Batcache plugin *expects* us to “butcher” into the source controlled file and deal with our own fork ourselves. Do you have recommendations about that?